Here are the 8 top memory supplements of 2019 to boost your brain function. A natural aging process, stress, unhealthy lifestyle, and many other factors can impair your memory. You’ve probably experienced some memory lapses from time to time, or you’re having trouble remembering important things about your work project. Due to a great amount of stress even college students realize the more they try to learn; the more difficult it is to remember something. Due to significant progress in science and medicine, we’re able to boost our memory in a natural manner. Memory Pills – Do they really work? For instance, memory pills are widely used today and if you’re looking for an effective way of improving your memory, keep reading this article to learn more about them and see top rated products on the market today. Memory pills are potent formulations of vitamins, herbs, and other natural compounds that are created especially with memory in mind. The primary goal of these pills is to enhance your memory, improve concentrations, and slow down progress of neurodegenerative diseases. These supplements prevent or reduce memory loss and help you feel sharper in your day to day life. Provasil poses as the top rated memory pill due to its overall effectiveness for an individual. It has been introduced to us by the good people at CognetixLabs. This supplement is formulated to improve your memory, but concentration and focus as well. 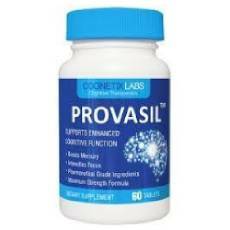 Provasil contains a revolutionary formula with multiple effects on your cognitive performance. This revolutionary formula has been designed by using only natural ingredients. No chemicals can be found in Provasil. The main ingredients are – Vitamin C, Vitamin B12, L-Glutamine, Resveratrol, Gingo, Bacoba and many others, including Phosphatidylserine, which has been proven scientifically to both slow down and prevent the progress of Alzheimer’s disease as well as improve the symptoms. Natural ingredients found in this memory pill reverse memory lapses, forgetfulness, and lack of focus and they also enhance* the membrane structure of your brain while supplying a bunch of antioxidants that protect your brain. The product has positive reviews from customers who’ve already tried and it comes with the money back guarantee. You get a 60-days money back guarantee if you are not satisfied with your experience with Provasil. Currently, Provasil is only available to be purchased online. However, that may be the best thing about it yet because that makes it be available to people all around the world. To read detailed review click here. NooCube is a nootropic supplement that is designed to boost your brain and cognitive function. This memory pill has been brought to us by Wolfson Berg Limited and since the first time that has hit the market, it has shown a great success in the form of improved memory, attention and alertness as never before! It helps to increase your concentration and focus and improve your memory as well. Nevertheless, it helps to promote your learning ability, which increases your attention and allows you to recall the information. It contains seven potent ingredients that help to alter the neurotransmitters that boost the brain function and slows down the aging process of the brain. They aid in improving your memory and enhance your mental clarity. More so, they help to improve the blood flow to the brains that increase your alertness and cognitive function. NooCube can be found and bought on its official site where you can find all the important details and information about this amazing nootropic memory pill. Luckily, you get a 60-days 100% money back guarantee – so if NooCube, by any chances, fails to provide the beneficial effects as it promises to do, you have the chance to get your money back! 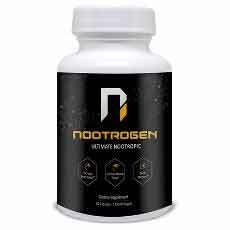 Nootrogen is a nootropic supplement that promise to maximize brain performance. It is manufactured with a proprietary blend of natural actives that perform to improve mental functioning and performance. It is said to support memory and enhance mental focus as well as optimizing cognitive functioning. Its help to fight anxiety and support mind and brain relaxation. It also helps to boost energy levels boost brain health. This formula can be purchased from its official website and one bottle (30 days supply) goes for$29.95. The manufacturer offers free delivery to the product’s destination. In case you’re not satisfied with the performance of this formula, worry not because the formula comes money back guarantee. 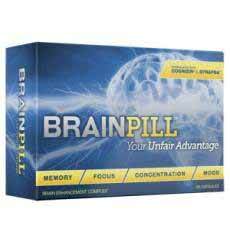 Brainpill is a revolutionary health supplement is made with an intention to support brain nootropic benefits. It is constituted with active natural ingredients that help to promote healthy function of your brain. It is suitable for students and other professionals who highly engage their minds. It is said to boost cognitive abilities and memory to increase information retention. It enhances mental focus, alertness, and clarity. It also encourages brain performance even when the subject is fatigued. Additionally, it slow corrects depression and stress-related health problems. This product may be accessed through its official website and Amazon online store. One unit is currently priced at $79.99. And free shipping is only meant for eligible orders. 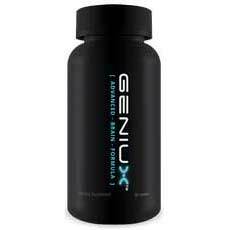 Geniux is a memory supplement with fast-acting ingredients. The supplement delivers a variety of benefits such as improved memory recalls, boosted energy levels, improved overall health, increased focus and concentration. This is yet another memory pill with positive customer testimonials and for a good reason – Geniux contains 20 ingredients with nootropic benefits! If you’re considering purchasing this memory pill, you’ll be happy to know it comes with an affordable price of $39 per one bottle and the official website also includes various special offers. And there’s also a money back guarantee. Here’s yet another memory pill that scored high in our analysis of best memory supplements on the market. Cogniflex is manufactured by the Sure Science company and costs about $47.95 per bottle, although there are many special offers that’ll help you save more money. 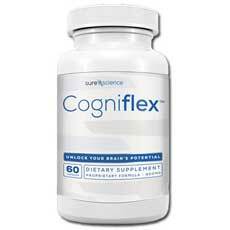 Cogniflex improves several areas of cognitive function such as memory, concentration, focus, and recall. It contains natural ingredients and isn’t associated with uncomfortable side effects. 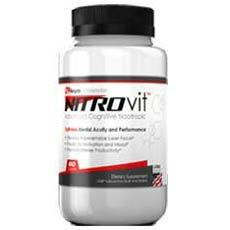 NitroVit’s formula for memory improvement is based on thorough scientific researches. The supplement stimulates part of the brain responsible for memory and cognition, called medulla oblongata. This is, definitely, unique supplement due to the fact it mostly contains vitamins that aim to improve your memory and other aspects of cognitive functioning. The manufacturer offers a money back guarantee with NitroVit which is always a good thing. Plus, customers are impressed with this product. 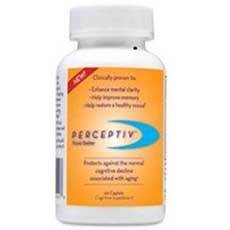 Perceptiv is one of memory pills that are good and potent in enhancing the desired results. It’s manufactured by Sevo Naturaceuticals and it works by supporting the cognitive function and protecting against further mental decline. This supplement also increases the feeling of well-being and positive outlook bearing in mind that depression can also affect memory. You can get Perceptiv in retail stores as well as online. What makes this memory pill unique is the fact it contains a patented formula which is a result of 20-year-old research. You’re probably wondering whether these memory pills really work or they’re just a waste of money. Although most studies that examine the efficacy of memory pills are still ongoing, there’s still a growing body of evidence which suggests that memory-enhancing dietary supplements are highly effective. For example, scientists at the Oxford University conducted a study wherein they discovered that smart drugs and supplements that are formulated to improve cognitive abilities really do work. These pills also improve planning and decision-making, flexibility, learning, memory, and creativity. According to Psychology Today, memory pills work by targeting three neurotransmitter systems dopamine, norepinephrine, and acetylcholine. These neurotransmitters enhance attentiveness which tends to decrease as we age. You can’t recall previous events, dates, etc. In order to help you out, we’ve analyzed memory pills available on the market today to find the best ones. Since we are talking about supplements that have been produced using natural ingredients only, there is no reason why you should consider them unsafe to be used. Especially not with the fact that most of the natural ingredients that are being used have been scientifically tested and proven to work. However, as with any supplement, the main thing that you should do is consult your doctor. Your doctor knows you the best and it is the only person that can advise you properly on whether or not you should use any supplements, including memory pills, in a combination with any of your other medications, that is if you are taking any. You should never take any pill on your own, without consulting a professional, like your doctor, first. This can allow you to avoid any potential risks and health issues. The last thing that you would want is to do is make your health condition even worse. Although most of the memory pills brands are safe to be used, you should always gather as much information as you can, especially regarding the ingredients that are used and customer reviews. For the best and most honest information lean on different sites that offer you a glance from their perspective of the chosen product, instead of simply reading on their official site. And remember – always take your memory pills as it has been recommended by your doctor or the manufacturer itself. Do not take a dose bigger than the one that is recommended to you.